681432 - JEGS SSR Spike Wheels is rated 4.6 out of 5 by 5. Rated 5 out of 5 by Jayrod95 from Awesome wheel!! What an awesome wheel for the price and it looks killer on my camaro!! Rated 5 out of 5 by 4speed from Spike wheels Front are 15 x4 ,center caps are only 2.50 deep needed to be 3.50, .Kegs sent the 3.50 in place of the others at No Charge to me , this is why I keep doing business with Jegs ,I'm a person not just someone who has ordered .Special thanks to all at Kegs! Will these wheels fit 1995 z28 camaro without any modification ? You may have to grind the caliper to make these wheels fit your brakes. What is the recommended tire widths for these wheels? 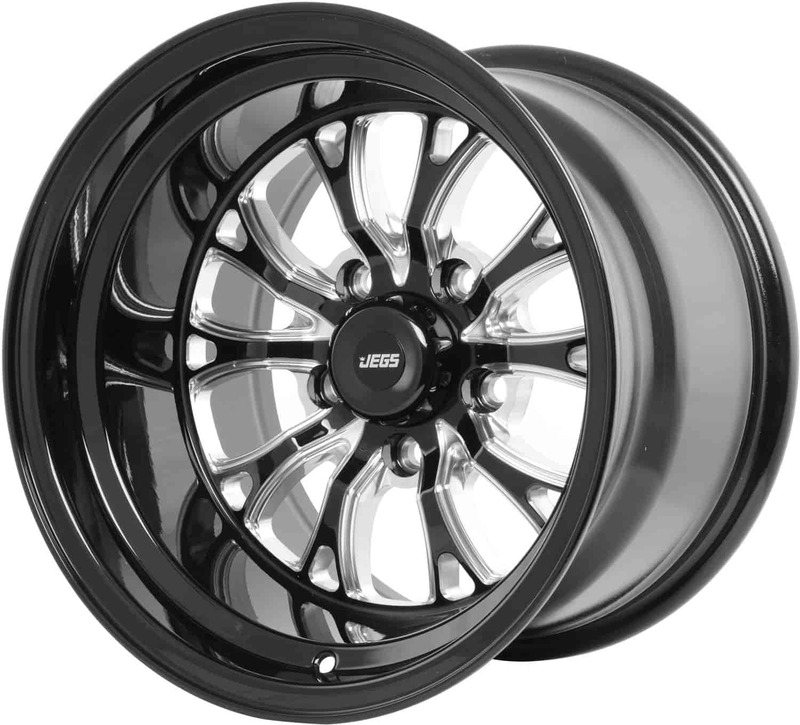 This wheel will work with a P295 or P305 series tire. Will these fit on my 1976 Corvette? I want 15x10 all the way around. You will have to check the clearance of these wheels. 15 x 8&quot; is the largest wheel recommend for your Corvette. Will these fit a 79 nova 2 door? These are very wide for that car, you will need to check the clearances before mounting them. We do not condone street racing of any kind. These wheel are strong enough for everyday use. Will these fit a 1997 c1500 Silverado? No, these wheel will not fit the bolt pattern of your Chevy truck, you have a 5 x 5&quot; bolt pattern. Is it possible to make these fit on a 2002 base c5 corvette with the purchase of a drag spindle kit? No, this is not recommended for your Corvette. The rear spacing and the brakes will not work properly.